Note: Please see in depth post on Vector "Everything you ever wanted to know about the Garmin Vector pedal based power meter" posted here . Perhaps one of the biggest bits of news coming out of Interbike this week was Garmin’s acquisition of MetriGear. 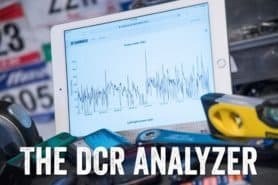 For those not familiar, MetriGear was/is a small startup company that’s been slowly chipping away at development of a pedal based power meter for the past few years. I highlighted them earlier this year in my Top Sports Companies to Watch. They hadn’t quite got to market yet, but had showed quite a bit of promise with functional prototypes, and updates via their blog. There had been significant speculation as to whether or not Polar/Look’s recent pedal announcement had actually been an acquisition of MetriGear. That was then followed by MetriGear removing their name from the Interbike Exhibitor list – thus only further adding fuel to the fire. But Garmin went ahead and changed the direction of the fire on Tuesday evening with the announcement that they had acquired MetriGear and planned to bring Vector to market as Garmin’s own power meter, with Garmin Vector being the official product name. I had a chance to catch up with both Jake from Garmin, and Clark from MetriGear earlier this morning here at Interbike. As part of that interview I was able to get a pretty good grasp on where they stand today and what the future of power from Garmin’s perspective is. Oh, and if you aren’t familiar with power meters, I recommend you start here with this post. Perhaps the biggest question everyone has is how this will impact the rest of the market, and what changes it will bring to the consumers ability to get power meter data. I’ve talked to virtually all the major and minor power meter players here at Interbike over the past few days – and the opinions are actually largely the same. 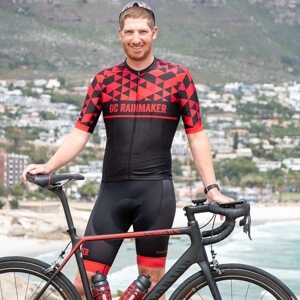 On one hand – everyone is optimistic that this will only further to expand interest in power meters, which even for companies selling ‘gold standard’ systems like SRM – means that more interest will also be driven their direction. There is also optimism that this will force Garmin to expand and update their power meter metrics currently offered with their fitness line. On the other hand, there is concern amongst other companies that Garmin could potentially force or otherwise negatively influence ANT+ (who they own), which is the protocol that all but Polar uses to communicate between power meters and head units. While virtually all power meter companies I talked to noted the concern, they also noted that’s it’s always been a concern with ANT+ being held by a private company that’s also a competitor. And all of these companies pointed out that the situation has largely been the same since Dynastream (ANT+) was acquired by Garmin – in that they’ve always had that bit of lingering concern out there. For its part, Garmin made it clear during my interview with them that they have zero plans to close the system with respect to power, and instead only want to grown the ANT+ system – including the numerous non-Garmin devices that compete with it today. They were pretty emphatic that they believe from top to bottom at Garmin nobody has any plans try and force decisions at ANT+ to favor Garmin alone. In many ways, the components and design of the pedals at a high level are similar to the Polar/Look pedal design. Within the spindle of the pedal there is a small axle which measures forces using a silicon based strain gauge and accelerometer. You can see the basic idea depicted from this earlier illustration on their site. One item that Clark showed me but I was unfortunately unable to take pictures of was the current and past axle electronics and design. 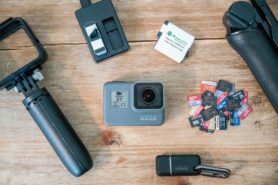 The small case he pulled from his pocket showed the evolution of just the last year’s worth of designs, and showed a pretty significant decrease in size – by probably close to 50%. It was also significantly smaller than the Look/Polar final prototype axle. The silicon based design is much more resilient to changes in environment than typical strain gauges used today, thus like the Polar system it will be largely immune to needing constant calibration. However, Clark did note that they are looking into the ability to allow users to zero the the unit from standard ANT+ head units. The design will include two pedals and two transmitter units – with a total system target weight of under 50g. The transmitter units will sit just on the outside edge of the crank arm (closest to shoe), nearest the spindle and will attach directly via the spindle threading. In the demo he showed me he used the example of the current Garmin ANT+ foot-pod as about the same size and internal electronics as the Vector system. That small transmitter will be what relays data between the pedals and the head unit. Like the Polar system, one of the two pedals will be the master, while the other the slave. It has yet to be determined whether or not that’s the left pedal, or the right pedal. Polar uses the left pedal. The pedal transmitter then sends to the head unit the power data using ANT+. The ANT+ spec has actually already been updated to include Left/Right pedal data (as well as total combined power). This was through efforts by not just Dynastream/ANT+, but actually feedback from all of the power manufacturers – including non-pedal ones like Quarq. It will require some head units to receive an update to understand the new power data types, including Garmin’s own units which aren’t updated yet for the spec. Similarly, the ANT+ spec will still need to be updated to include additional data types such as angle of pedal – which is something that they plan to propose to Dynastream for inclusion with ANT+. But it’s not just MetriGear that wants/needs this, but also the other three ANT+ based pedal manufacturers today working on product (Brim Brothers, O-Synce, Elite…and Garmin/MetriGear). I asked whether or not Vector could be updated to BTLE should ANT+ popularity wane (as some are predicting in the 18-36 month range). He noted that while they are fully committed to ANT+, the system was designed such that the electronic components relating to ANT+ are outside the spindle alongside the crank, and could be changed/adopted should the winds of technology shift. The unit has also been designed such that firmware updates can be done over the air (wirelessly) by the end user using a simple ANT+ dongle – just like the ones used today to wirelessly sync data between some of the Garmin Forerunner series like the 310XT. No sending back to the factory to get firmware updates required. Finally, last but not least – with respect to durability, the spindle and associated electronics has currently met the 3,000,000 cycle test (revolutions) performed externally by a Japanese testing firm, along with a successfully completed 500 hour nonstop test. They noted that currently Vector has logged ‘thousands’ of real world miles as well. The big point that Garmin wanted to make during the interview is that they want to make power meters as ubiquitous in cycling, as they’ve made GPS in sport/fitness today. 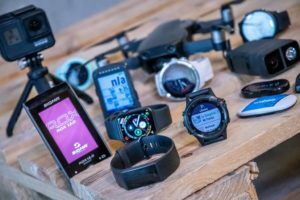 They emphasized that while they are certainly looking to appeal to everyone from the Tour de France pro rider (aka: Team Garmin) – they are ‘excited’ about the ability to leverage Garmin’s manufacturing process and power to bring the product to a much wider market than power meters impact today. I asked about the previous roughly $1,000 price point that MetriGear has been targeting in the past, and asked whether or not that was still the target. While they couldn’t answer pricing questions – it seemed pretty clear from the way they beat around the bush that they were looking at something no higher than that – if not considerably lower. They continually emphasized trying to get power meters into a much broader audience – and given the current low-end price point for a direct force power meter is $1,000 (PowerTap), I’d have to believe they plan to significantly undercut that. They also emphases multiple times Garmin’s power in manufacturing and ability to get to market. 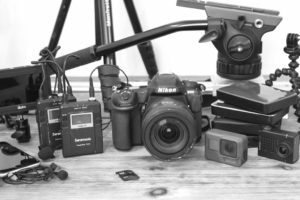 When you look at the power meter get-to-market process – multiple companies pointed out to me in the past few days that the bulk of the cost is in the development of the power meter. The actual components aren’t terribly expensive in comparison. Given Garmin has effectively paid for that development cost via the acquisition costs (thus, they are sunk costs) – so anything from this point forward is relatively small in comparison (development-cost wise). Lastly, I wanted to touch on one area that I get a lot of comments on today – which is Garmin’s current lack of depth in power meter metrics on bike. For those not familiar, Garmin’s Edge series head units and the Forerunner 310XT display power meter data today. But the level and depth of the information displayed in the Garmin displays has been a bit lacking – only providing the most basic power meter data, especially compared to dedicated power meter head units like the Joule or SRM PCVII. Both Jake and Clark agreed that to date the metrics offered on power meters hasn’t been as deep as some of the competitors – but they went onto note that one of the underlying benefits of having Clark and his three person team join the Garmin teams in Kansas, was the addition of ‘power knowledge’ to the fitness team. Jake was pretty excited that Clark with his power background would really be helping to drive much of the new additions to the Edge/Forerunner line. I asked if they plan to start having that ‘Clark influence’ drive power related updates to the Edge/Forerunner line prior to Vector’s undetermined release. They both said said ‘Absolutely’. As an example of this, they noted that for example the older Edge 705 (now targeted for January 2011 end of production) will still be given relevant updates moving forward – even as the Edge 800 replaces it (now targeted for November 2010 release). Given Clark comes from a power background, I’m pretty optimistic that he’ll be able to effectively drive those changes within Garmin. In part, because necessity will require it, and in part…because he’s a geek inside. 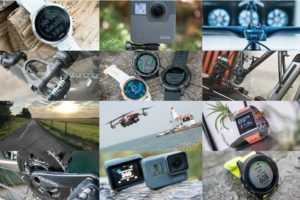 There’s no doubt that both Garmin and MetriGear and are excited about this – and I think from a consumers standpoint, this can only manifest itself in good news. While there’s certainly a bit of nervous excitement from the rest of the power industry – I think that in the long run, it will benefit most of them as well. Lord, why won’t Garmin simply place ANT+ under the GPL? FOSS FTW! I’ve been salivating all day waiting for this post! Thanks for the info. This sounds like a game changer in the power meter market and I’m glad I’ve held out so far because this is exactly what suits my needs. I just hope its released by the spring. Great info! Any word on cleat type? 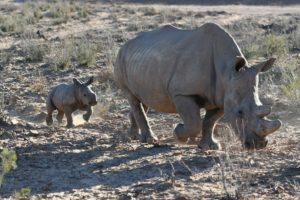 great news, awesome work Ray! I am _Very_ excited to see how this product progresses! Keep up the great Interbike work! Great article. Very informative. Was there any sense on when it would be available? They tested all the major pedal types without issue, but haven’t decided on exactly which pedal to choose (if just one). 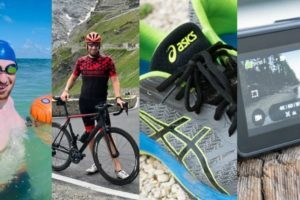 They’ve been doing quite a bit of research and user feedback on it and found that in most cases – people were willing to switch pedal types if they found a well priced pedal power meter. 1) Really only adds 50g to the pedal system. 3) As reliable and accurate as my PT. I’m currently using a PT PRO+ with an Edge 705 as the head unit. Great article. Well written and informative. You answered many of the questions that were on my mind. This is very exciting! I’m hoping for Look pedals, but given the Polar/Look situation I’m not getting too excited. Given the right price point I would consider changing pedals. Did they give a timeframe on when they might be available? Exciting news indeed… I was initialy a bit worried when I hear the rumours that they had pulled out of interbike. Any word as to when it might be available? Knowing that this is in the pipeline, I will hold off on buying another PT wheel for racing. I have a PT wheel for training, and I ride a non-PT disc in races. If an affordable pedal power system comes out, I’d definitely switch. Seems to have all the benefits of SRM, at much lower cost. I’m also interested to hear about pedals… and if they will do MTB pedals as well. Ray- Great discussion about the new product, I guess it explains why metrigear seemingly fell off of the grid. Did you get any hints as to when this might actually be able available? agree with Mark. ANT+ should be placed under community sponsorship. That would pretty much seal the deal as far as wireless goes. Sounds exciting. Hopefully that pricing is somewhat accurate. Though, I’m not very optimistic given the polar/look pedal pricing of over $2k. Did they drop a ship date yet? Great review. Thanks for the information!!! This is awesome news. Thanks for the info! I sure hope they come out with a Look pedal system. Having to switch out the pedals on my bikes or buy another set of shoes for my race bike (so I wouldn’t need to switch out pedals on my other bikes)would drive my cost up. Looking into power meters now for my bike. I’m glad I came across this post. I already use one most of the time with my Computrainer but now want one for out on the road. I’ve been using Look pedals for 20+ years but I’d switch in a heartbeat for something like this that’s reasonably priced. Interesting website and the best Garmin-Vector commentary I’ve found. Thank you. On pedal types: My suggestion a year ago to Metrigear was that Vector be compatible with existing pedals, mainly because I have titanium Speedplays and would rather not replace them. Since Speedplay is a Garmin-Cervelo sponsor, I suppose I have some hope of keeping my cleats if not my pedals. Any news on when the pedals will be released? Is there any update on this that you are aware of? I’ve been chompin’ at the bit ready to pull the trigger on a power meter but really wanted to wait for this option. Not sure I can wait much longer though. I have a Garmin 310XT and was hoping to use Garmins power pedal in conjunction. Maybe I should buy something else …..it will surely come to market then! Nothing new aside from still being on target for H2, or basically announcement at Interbike and then availability in the fall. I’m working on getting a chat setup to get the latest on it…hope to have something in the next week or so. How did I know …… look forward to it – I’ll stay tuned. Hoping Speedplay is still on the menu (but not optimistic). Was so close to buying a Quarq but the right foot left foot analysis of the Vector would be sooooo key (especially just coming back from this surgery). Cheers! Thanks DC – glad you and the Girl made it back safe and sound. The reports from your Honeymoon made it sound awesome.